It is a money-grabbing airline who have such a monopoly on some routes that they capture customers that way....better to seek surface travel means. 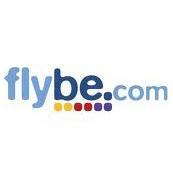 expect to be ripped off by Flybe. Spot on with your review. Agree with you.....notice how there is constant harassment when booking online to pay for seat selection, baggage, travel insurance and their joke of a type of "frequent flyer" card. Fly Easyjet for a better deal!